Welcome back to day 3 of our JustRite Papercrafts July release. We have a couple of fun stamp sets to showcase today again that I know you will love to play with! 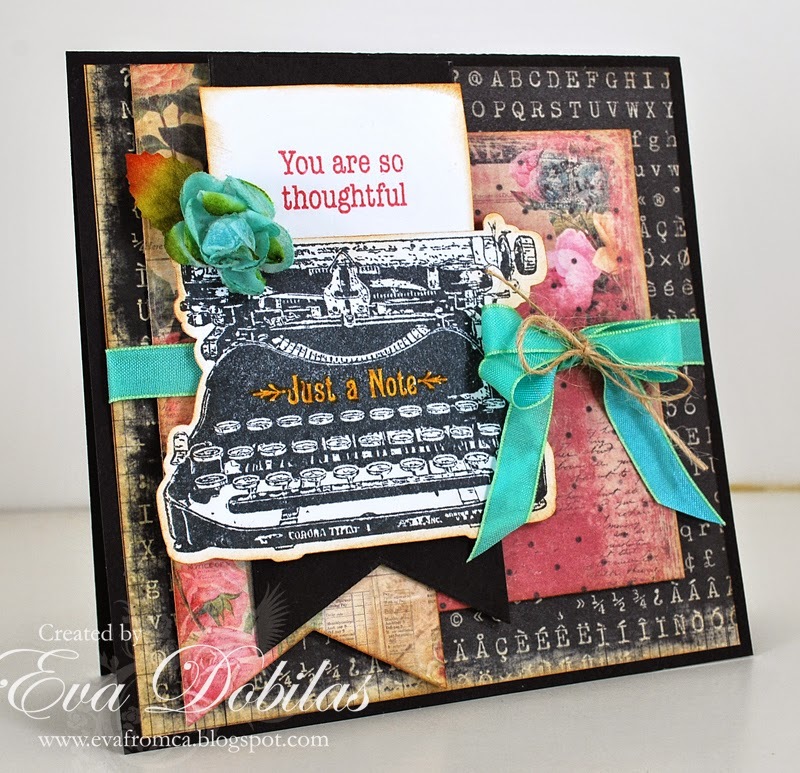 My card is created with Just Typed and the coordinating Typewriter Sentiments sets. The papers I used are by Prima. I just loved how they went with my stamps. I cut out my SVG Just Typed Digital Cut file and stamped my typewriter image on it. I stamped my sentiment onto cream color card stock and added it to my typewrite and added a small pretty Petaloo flower to it. I also used a pretty May Arts ribbon and tied jute over it. Here is what the Just Typed stamp set looks like. So many possibilities, right? And here is the coordinating Typerwriter Sentiments set looks like. Wouldn't this be fun to create lots of cards with? Hope you like what I created and now it's time to check out what my super talented design team mates have created with these sets. Thanks for stopping by and see you tomorrow. Till then, have a great day!